Zach Galifianakis’s Alan says that to Ed Helms’ Stu in the new teaser trailer to “The Hangover Part III,” and in a way, that seems to sum up the entire series – no matter where Alan, Stu, and their friend Phil (Bradley Cooper) go, the Wolfpack ends up stepping in it in a big way. And while the preview only answers so many questions about why and how bad luck comes their way in the final film of the series, there’s just enough there to confirm the finale will be their wildest ride yet. You want a prison riot? Check. Want to see John Goodman angry and shooting people? Check. How about heavily armed bad guys in pig masks? It’s in there. Always wondered what happens when a giraffe meets an ugly fate on the highway? Yep, that’s there too. And have you been waiting to see a weirdly sexual interaction between Galifianakis and Melissa McCarthy involving a lollipop? Probably not, but you’re getting it anyway. The trailer does at least confirm a few details that have been a matter of speculation up to know. As rumored, Alan’s father has died, and the Wolfpack have gathered for the funeral (and who knew Alan could sing “Ave Maria” like that?). While director Todd Phillips had been coy about the possibility of McCarthy being in the film, she’s there all right. And Heather Graham is back for the big finish to the trilogy. The guys end up in Las Vegas again (“I told myself I would never come back,” Helms says ruefully as they drive into town), as well as somewhere in the desert, though reports that they make their way through much of the West Coast aren’t fully resolved here. And in a couple bits, Helms gets to rock a cowboy hat that would make Brett Michaels proud. Nice. In a recent interview, screenwriter Craig Mazin promised that unlike “The Hangover Part II,” the final adventure wouldn’t just be a replay of the first. “It’s going to be quite a bit different,” Mazin said. Judging from the preview, Philips and Mazin are delivering what they promised. 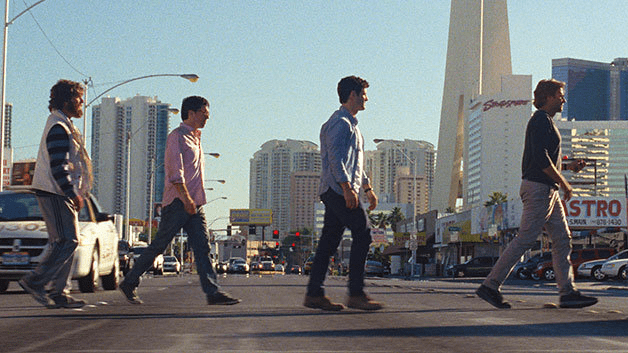 “The Hangover Part III” opens on Memorial Day, and it looks like an epic exercise in mayhem and bad judgment. Well if you do go see this film at least don’t pay full price for movies tickets. You can save up to 40% off on AMC Movie Passes, buy buying AMC Silver Movie Passes at Discount Movie Passes Click Here to order today.